While “Star Wars: The Clone Wars” was cut short, there were still stories still being made when the decision to stop production was made. Fortunately for fans, some stories have come to light. One such story was even made available for viewing (and I was beyond happy when I found out about it)! Three months ago today, Star Wars made available their four-episode story arc, “Crystal Crisis on Utapau” for viewing, which is super exciting for fans! -completed form, fans will be excited to see these four bonus episodes of “Star Wars: The Clone Wars”, nonetheless. The first episode, “A Death on Utapau”, finds us watching Obi-Wan Kenobi and Anakin Skywalker investigating the death of a Jedi on the supposedly neutral planet, Utapau. During the course of their investigation, they discover that the death of the Jedi had come about while trying to watch a meeting take place between locals and MagnaGuards. After taking possession of the massive kyber crystal, Anakin and Obi-Wan try to move the massive crystal (despite the lack of a ship) in the next episode, “Crystal Crisis”. After fighting off the arms dealers, the two Jedi have another challenge. We see that, despite the professed neutrality of Utapau, the leadership of Utapau is in league with General Grievous. 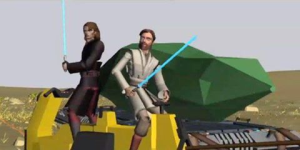 Anakin and Obi-Wan are able to move the crystal to the port, although they have to deal with MagnaGuards and battle droids. Eventually, they have to give the crystal up at the behest of the Utapauan authorities. 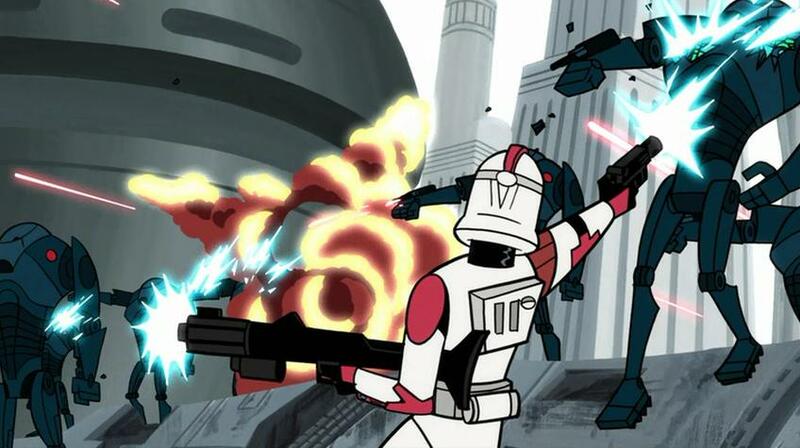 In the fourth and final episode, “The Big Bang”, we see Anakin and Obi-Wan track down the crystal to a Separatist ship and, eventually, we see General Grievous and Obi-Wan engage in a light saber duel, somewhat presaging their eventual battle on Utapau in Episode III, although, this time, Grievous gets the best of him pretty easily, and has him taken as a prisoner.